Is Your Landlord or Bank Threatening to Evict You From Your Home? If Your Landlord or Bank is Threatening to Evict You From Your Home, You Do Have Rights. Read the article below to learn about the steps to take to protect yourself in the case of an eviction – you do have rights. Having a real estate lawyer in Dallas on your side can help you challenge the eviction by knowing the policies and procedures a landlord must follow. 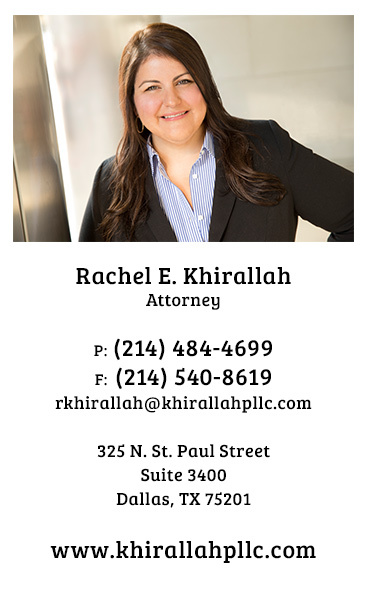 Contact Khirallah PLLC for assistance by calling 214-302-0462.